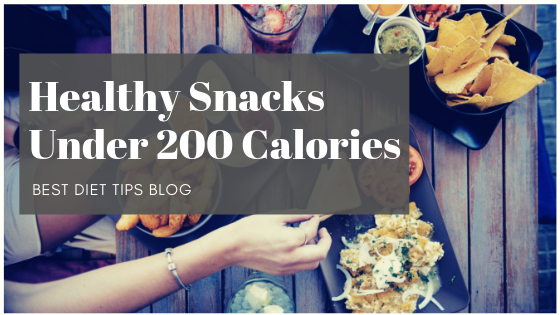 Homemade Snacks Under 200 Calories! Eating a variety of colorful foods such as fruits and vegetables each day that are low in fat and calories as well as popping a multivitamin once daily as a way to supplement your diet ensures you get proper nutrition and nutrients that are essential for wellness, development, cell repair, and disease prevention. While you start with the best intentions, eating healthy can sometimes be challenging especially when life gets too busy. But hang on, before you reach for that takeout menu hear this, eating healthy, is not entirely impossible. Meal planning is key! Meal planning is not only essential, but it also saves you a lot of time and money. For example, if you buy and prep what you can in advance over the weekend, it becomes very easy to come up with a meal plan for an entire week then freeze some of it in portion-controlled containers, and, voila! You have healthy, stress-free meals to make your week much more manageable and most importantly, it helps you avoid eating the same thing every day and lessens food wastage. Are you ready to make delicious homemade snacks? Note that foods that are labeled as low calorie are those that are 40 calories or lower and those categorized as calorie-free indicates that they have little to no calories and will not have an effect on your body. However, so you aren’t misled about a lower calorie food or beverage by splurging more than you expected always check the serving size on the label and amount of servings per container. Check out these easy-to-make and tasty snack options that bridge the gap between lunch and dinner and leave you sated without tipping the calorie scale.